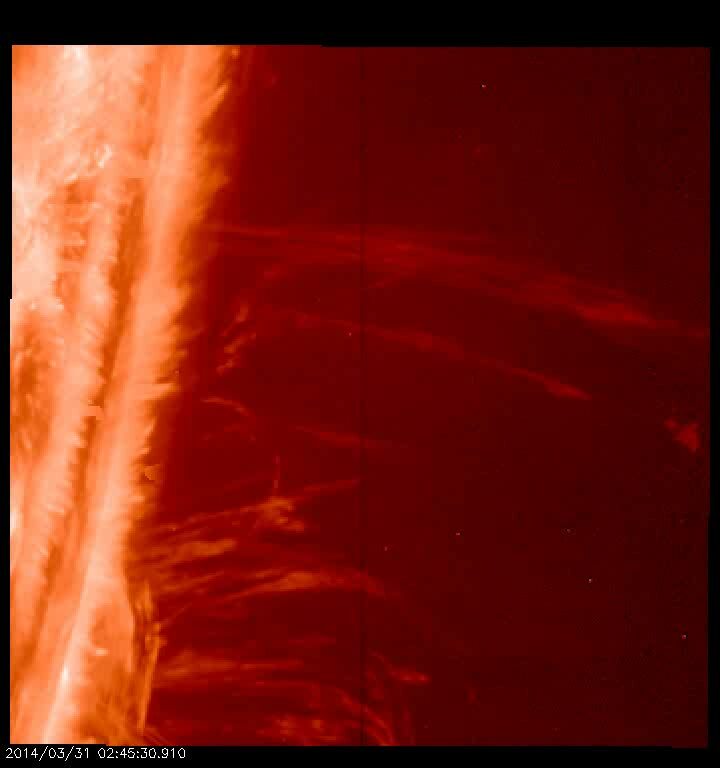 Here we have a fascinating sequence of energetic events seen at the western limb of the Sun. At first we have a relatively peaceful scene where only wispy loops of material occupy the otherwise empty space above the western limb. Suddenly, a dim haze rapidly fills the region like a dense fog. This is light from gaseous iron that has been ionized 20 times, a feat that only happens when a gas reaches temperatures above 10 million degrees. This superheated haze likely originated from a solar flare happening behind the limb. A short time later, a large filament of cool material in a magnetically active region is suddenly energized, causing it to lash outward in a massive eruption. After some of the erupted material falls back toward the solar surface, a dome-shaped cascade of downward-flowing material appears seemingly out of nowhere in the northern portion of the field of view. This is a phenomenon known as coronal rain where superheated material cools off and starts emitting light detectable by IRIS. We call it "rain" since it appears to condense above the surface and then trickle back down towards it. After all of these violent, dramatic events, the movie ends with a much calmer western limb, largely featuring long, relaxed strands of material laying north to south above the solar surface.